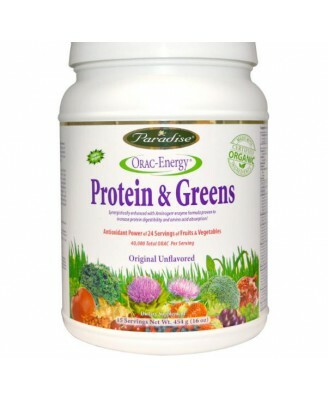 ORAC (Oxygen Radical Absorbance Capacity) Energy Protein & Greens is the next generation of superfoods. 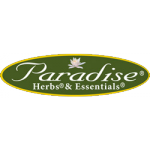 ***Ecologically Wild Crafted and/or naturally grown without the use of chemical fertilizers or pesticides. 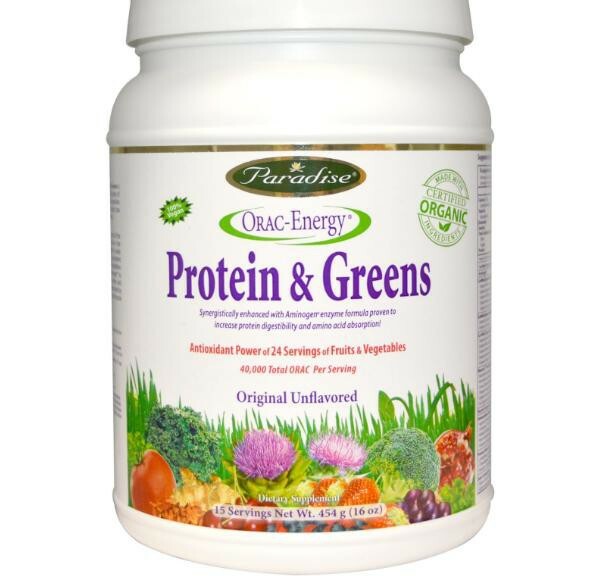 ORAC (Oxygen Radical Absorbance Capacity) Energy Protein & Greens is the next generation of superfoods. Just one serving contains 20 grams of protein, the antioxidant power of over 24 servings of fruits and vegetables and a total ORAC score of over 40,000. 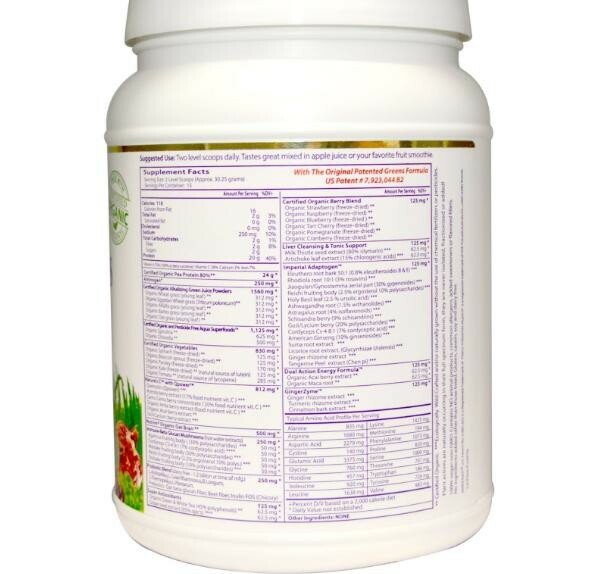 It contains certified organic pea protein and over 42 certified organic and pesticide free ingredients. Two level scoops daily. Tastes great mixed in apple juice or your favorite fruit smoothie. This product is sold by weight not volume. Keep in a cool dry place, out of the reach of children. If you are pregnant, nursing, taking any medication or have a medical condition, please consult your healthcare practitioner before taking any dietary supplement.